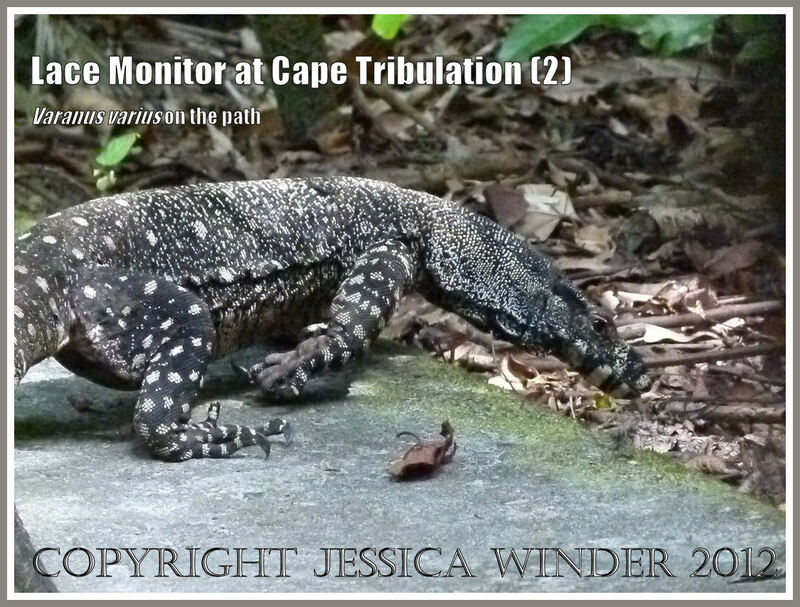 Slightly scary, like some prehistoric monster, the Lace Monitor or Lace Goanna lizard is a frequent visitor to the picnic tables set amongst the tropical rain forest that borders Cape Tribulation Beach in Queensland, Australia. 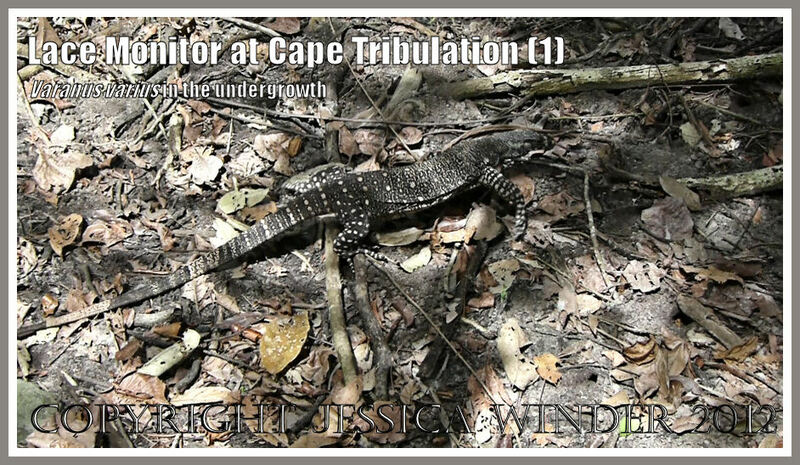 Walking like a crocodile with legs swinging out sideways from its long body, you can see it slowly crashing through the undergrowth in this short video clip. These animals can be up to 2.1 metres – over 6 foot 10 inches long. The forked tongue is flicking in and out as it investigates the aromas from the decaying vegetation. This Lace Monitor (Varanus varius) was photographed at Kulki (pronounced “gool-gee”) in the Eastern Kuku Yalanji Country that extends from Cooktown in the north to Mossman in the south, and is now part of the Daintree National Park, which in turn is part of the Wet Tropics World Heritage Area. 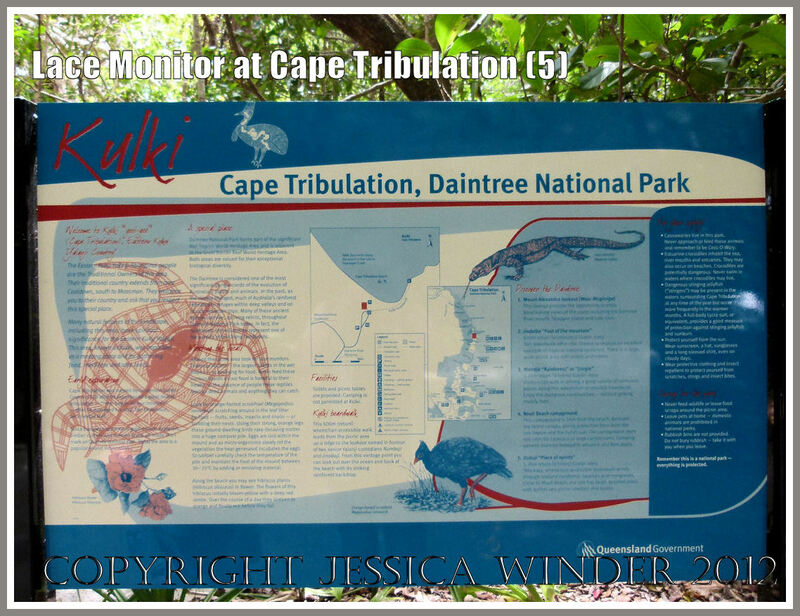 The traditional Aboriginal owners of this area are the Eastern Kuku Yalanji people. Many features of the natural landscape, including this area, have spiritual significance for these people and Kulki was as a important meeting place and for gathering food, medicine and tools. Lace Monitors are basically predators feeding on all sizes of creatures, dead or alive, and eggs – but they are also scavengers that eat all sorts of things including any scraps left behind by visitors – although it is strictly forbidden to feed them because of the harm it might do. 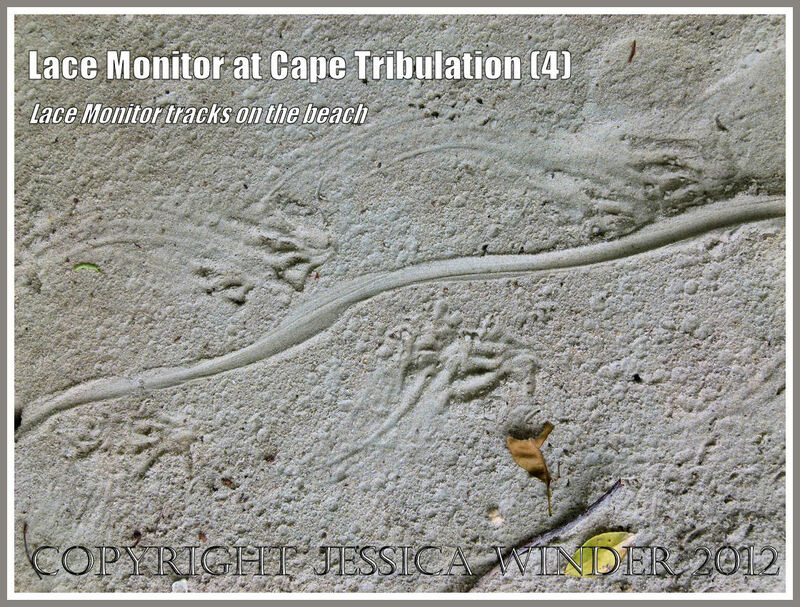 The tracks that the animal leaves in the sand on the beach could be mistaken for those of the ubiquitous crocodile of this region. 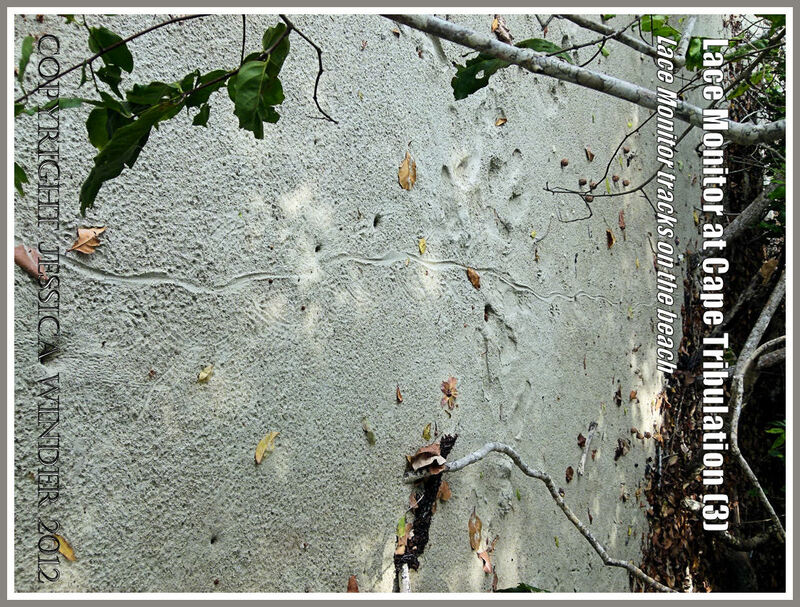 The pictures below shows a trail left by the low body and long tail with the footprints on either side that I discovered beneath a fruiting tree at the top of the shore.